TVS has launched its first ever 125cc scooter, called the TVS NTORQ 125, and it has certainly perked our ears. Priced at Rs 58,750 (ex-showroom Delhi), the NTORQ is loaded with interesting features. It is largely based on the Graphite concept which garnered a lot of attention at the 2016 Auto Expo. While the Graphite concept was quite futuristic in its design, its production model, the TVS NTORQ 125, opts for a sportier and rather youth-centric look. 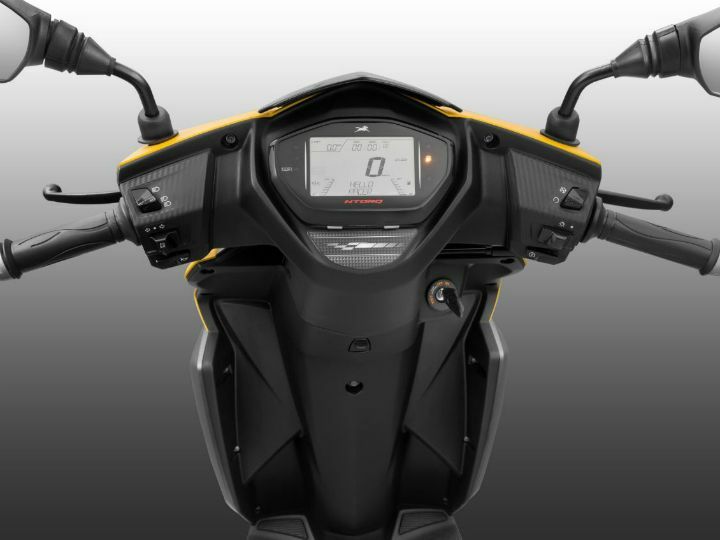 The Hosur-based manufacturer has packed the scooter with segment-first features like SmartXonnect, which lets you pair your phone with the scooter via Bluetooth connectivity. Its fully digital instrument console boasts of 55 features which include navigation assist, a lap timer, engine oil temperature, top speed recorder, last park location assist, service reminder and more. The NTORQ 125 goes up against the likes of the Honda Grazia, Suzuki Access 125 and the Vespa 125. Apart from these, the new TVS will also face competition from the upcoming Yamaha Nozza Grande and the Aprilia SR 125. TVS will showcase the scooter at the upcoming Auto Expo as well. In terms of design, the NTORQ 125 looks sporty and edgy. 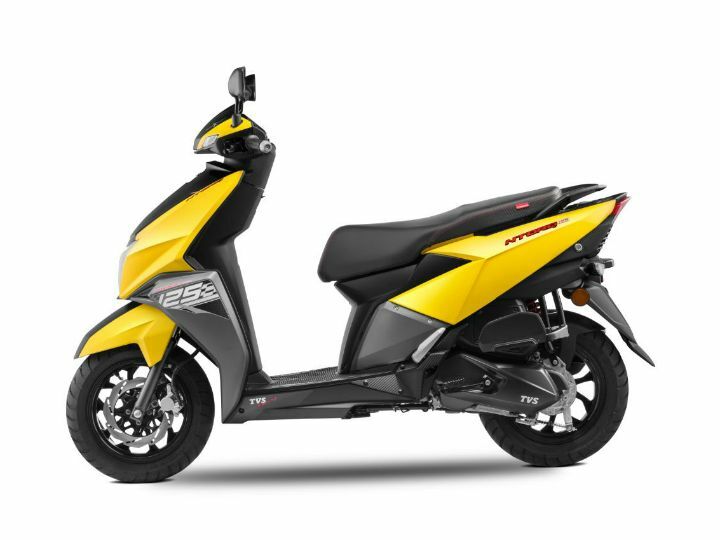 The large yet chiselled front apron houses a large headlamp sitting just above the mudguard, reminiscent of the Honda Dio. 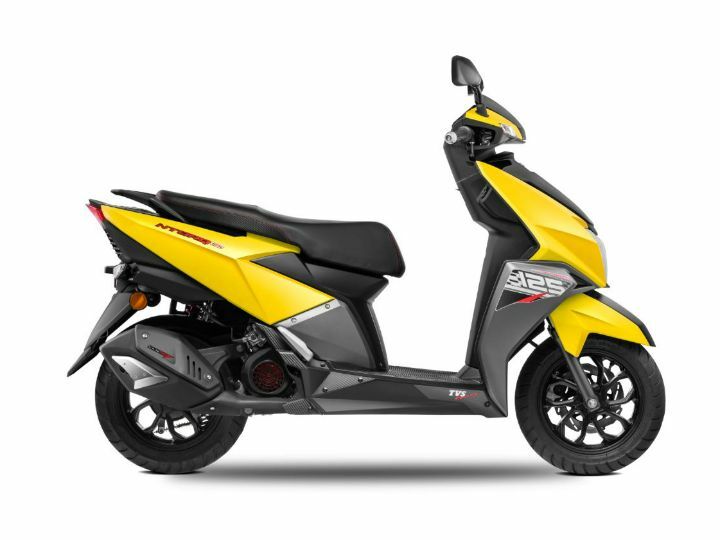 The scooter is powered by an all-new 124.79cc, air-cooled, single-cylinder engine, mated to a CVT gearbox. This engine churns out 9.4PS of power at 7500rpm and 10.5Nm of torque at 5500rpm. Suspension duties here are handled by telescopic forks up front, while the rear houses twin gas-charged shock absorbers. Braking is done via a front 220mm disc and a rear 130mm drum brake. 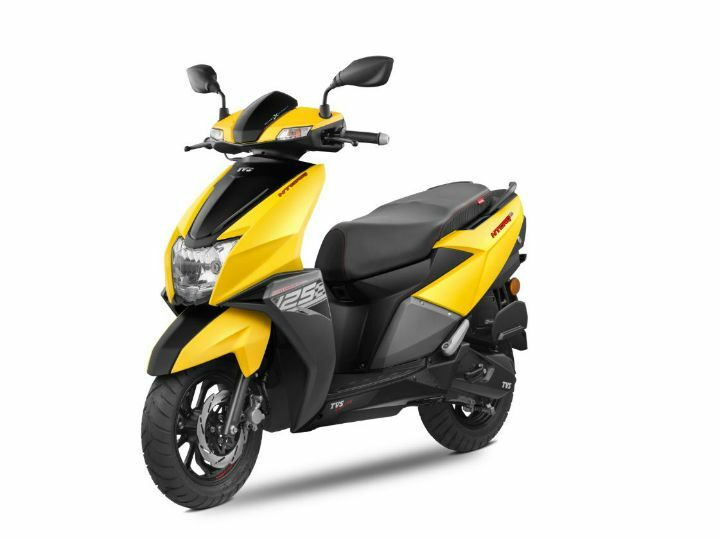 At Rs 58,750, the TVS NTORQ 125 scooter offers a plethora of new features over the Honda Grazia priced at Rs 58,155 and Suzuki Access 125 which retails for Rs 55,045 (all prices ex-showroom Delhi). By the looks of it, the scooter seems promising. But for a better insight, stay tuned to ZigWheels as we take it for a spin soon.